Jonathan Pryce and Eileen Atkins, stars of the West End staging of "The Height of the Storm"
Two-time Tony winner Jonathan Pryce (Miss Saigon) and three-time Olivier winner Eileen Atkins (The Retreat from Moscow) could be headed back to Broadway in a transfer of Tony-nominated scribe Florian Zeller's The Height of the Storm, which is currently appearing at Wyndham's Theatre in London's West End. The nonprofit Manhattan Theatre Club is likely to produce the transfer at its main-stem venue, the Samuel J. Friedman Theatre. "We are hoping and planning to bring this wonderful and acclaimed production to New York next season," MTC Artistic Director Lynne Meadow and Executive Director Barry Grove told Broadway.com in a statement, in lieu of official confirmation. Director Jonathan Kent's West End staging stars Pryce and Atkins as André and Madeleine, respectively, a couple of more than 50 years. When their daughters visit for a weekend, something feels unusual. This production would mark a return to Manhattan Theatre Club for Zeller, whose work The Father played the Friedman in 2016, earning a Tony nomination for Best Play and winning Frank Langella his fourth acting Tony Award. 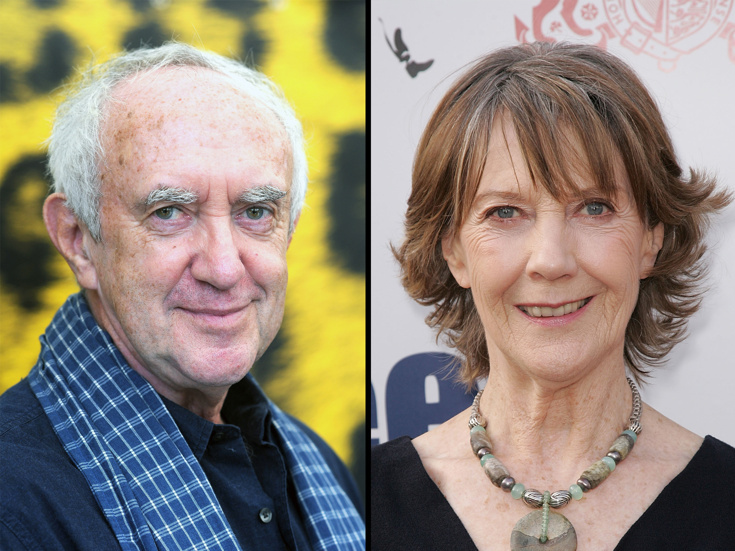 Jonathan Pryce and Eileen Atkins star in Florian Zeller's acclaimed work.